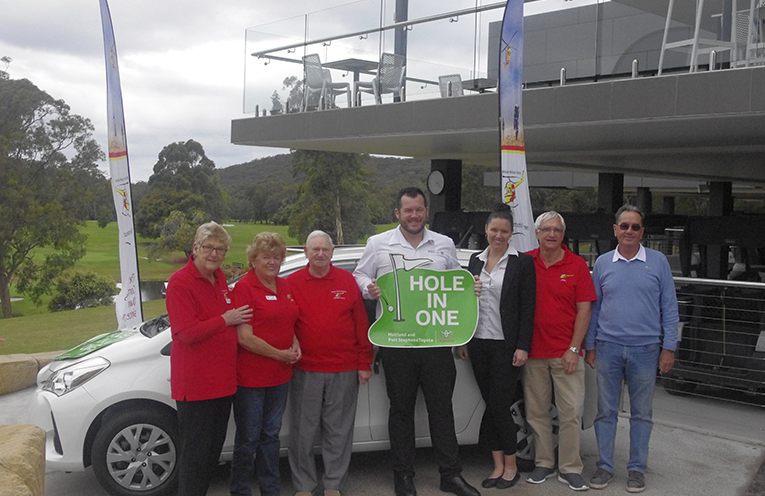 The Volunteers that raise money for the Westpac Rescue Helicopter, Noeline Male, Val Richardson, Des Cobb with Supporters Josh Walker and Michelle Smith of Port Stephens Toyota, President Rob Wilbow and Peter Power President of Nelson Bay Golf Club. Photo by Marian Sampson. THE Angel Billy Golf Day which supports the Westpac Rescue Helicopter is turning 21 this year. Over the past 21 years the event has raised over $650,000 to keep the service in the air. Westpac Rescue Helicopter was established in 1975 as a weekend beach patrol and through community support and fundraising has become a critical service that operates 24 hours a day, 7 days per week. This a free service, no one has ever paid to be transported by the Westpac Rescue Helicopter.